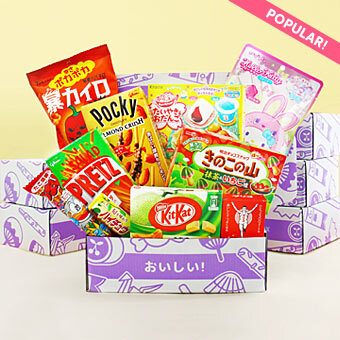 Take a peek which Japanese sweets were included in the August Japan Candy Box! Hawaiian Shaved Ice actually originated from Japan and is still a popular summer treat. 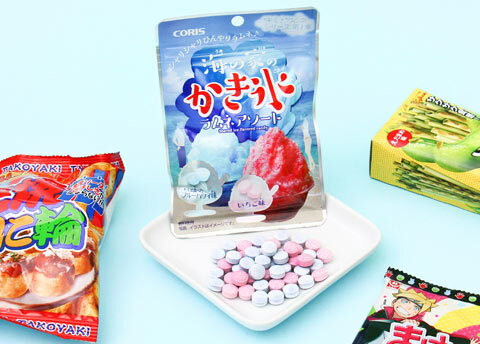 These delicious ramune soda candies are flavored to resemble Blue Hawaii and Strawberry shaved ice. Perfectly refreshing for those hot summer days! Boruto is the son of Naruto and full of energy! 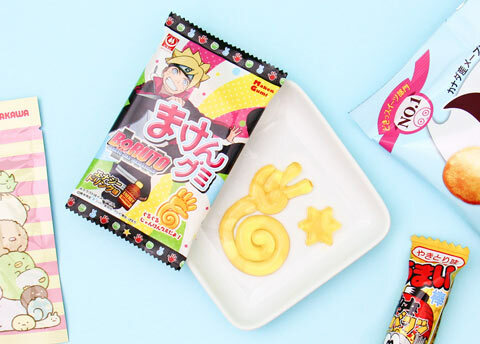 These energy drink flavored gummy candies are shaped like Boruto’s hand and have a delicious sweet & sour pineapple taste. Borrow some of Boruto’s energy to attend the Matsuri activities! 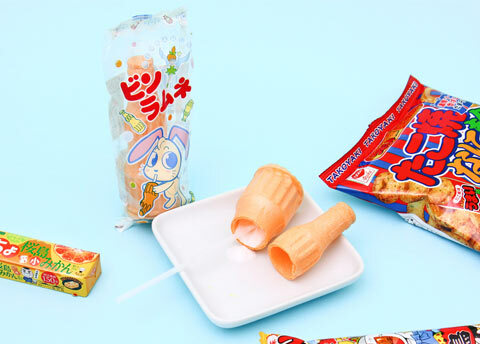 This wafer shaped bottle is filled with white ramune powder. Take the straw and stick it through the bottom of the bottle. Now “drink” the ramune soda flavored powder. 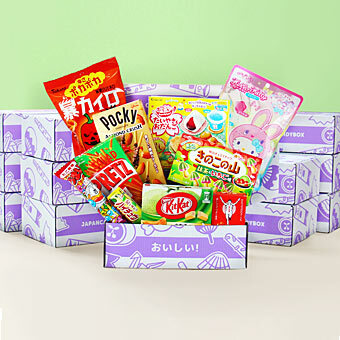 Just like the cute bunny on the packaging & stay cool in true Matsuri style! 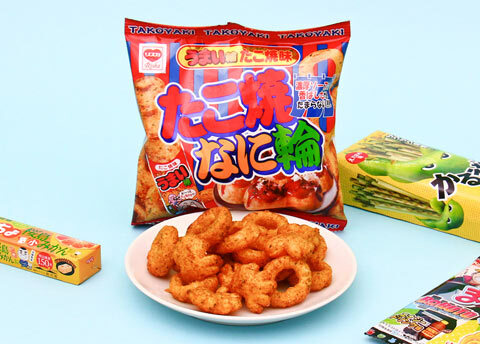 The Umaibo Takoyaki snack sticks became so popular that Yaokin released them as a yummy Takoyaki flavored potato snack. Takoyaki octopus dumplings are a popular treat at Japanese summer festivals! 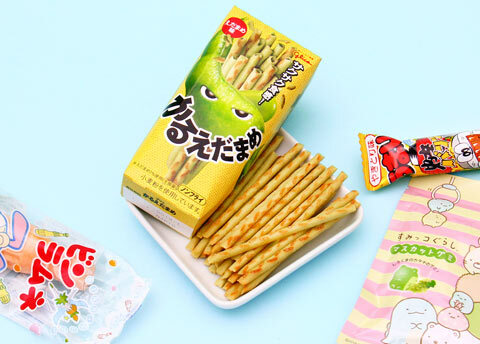 These crispy and light tubes made of potato and flavored with edamame seasoning are a perfect summer snack! 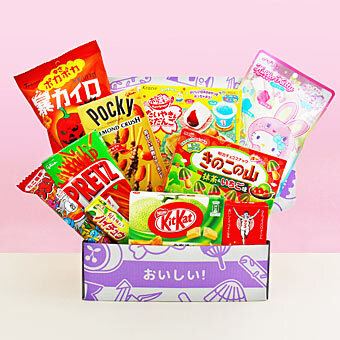 They’re made by Glico, the creators of the world famous Pocky sticks. 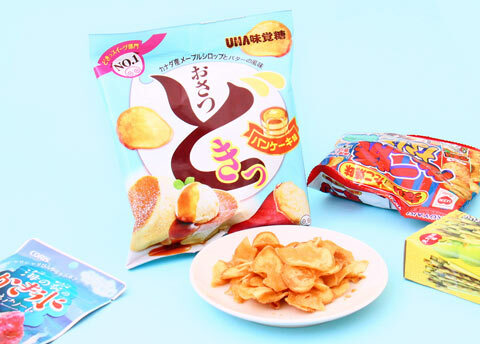 This “only in Japan” flavor combination was voted the No.1 snack for UHA to re-release. Crispy chips with a mellow sweetness of maple syrup and the rich flavor of butter. Like eating pancakes in potato chip form! 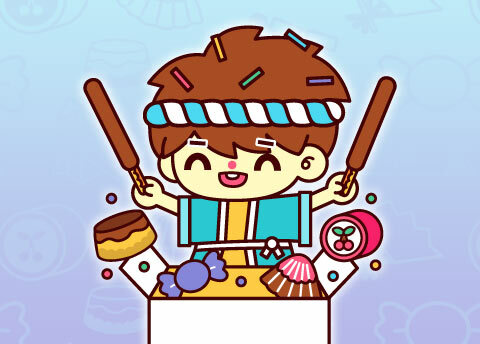 Umaibo, or “Delicious Stick” in Japanese, come in countless different flavors. 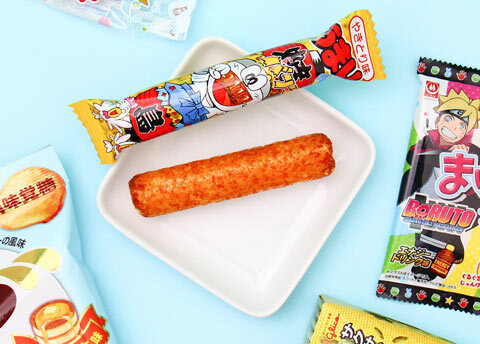 This one is flavored to resemble Yakitori - a popular grilled chicken snack at Japanese summer festivals! Soba-meshi is the ultimate Japanese street food of fried noodles and rice. 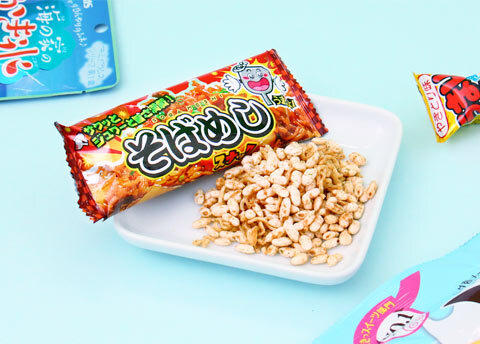 This crispy noodle snack captures the authentic taste of Soba-meshi in a delicious snack form. 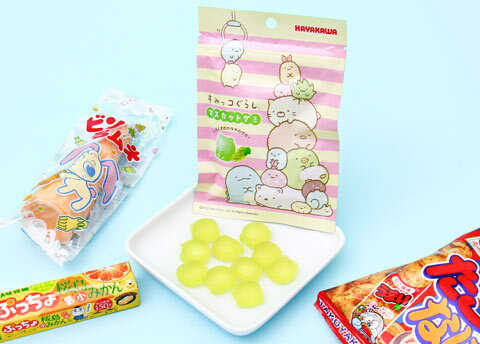 Puccho are one of the most popular chewy candies in Japan. 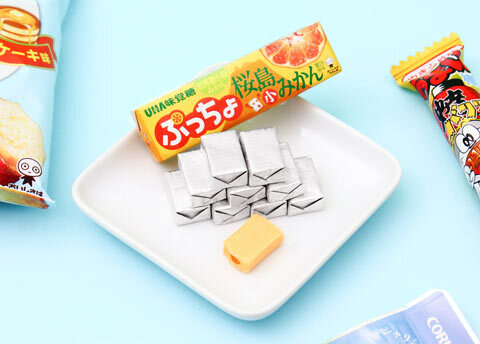 This special flavor is made with real Sakurajima mandarins. They are grown in Kagoshima prefecture, very tiny and packed with flavor. Perfectly balanced mix of sweetness and sourness!